Cleopatra is probably one of the most well-known women in history, right alongside Joan of Arc and many other prominent ladies who have changed the face of history as we know it. The lesser known details of her reign, as well as her methods of seduction, philosophies and involvement in world politics, however, are seldom discussed at length. 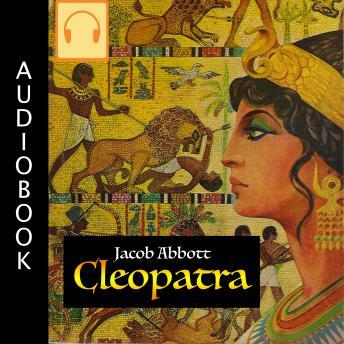 Jacob Abbott's Cleopatra is probably one of the few books that truly discusses these matters in great detail, and it is still considered accurate and well-written, despite being just about two centuries old. Cleopatra is the story of the great ruler of Egypt, who has oftentimes instilled inspiration, respect and even fear in the hearts of her political opponents. Considered by many to be a brilliant strategist, an unscrupulous ruler, a philosopher queen, and a woman who wasn't afraid to use her unique qualities and talents to seduce her male opponents, Cleopatra's life was complex and intricate, while still many of the facts associated with her political moves and their true extent are not fully understood.